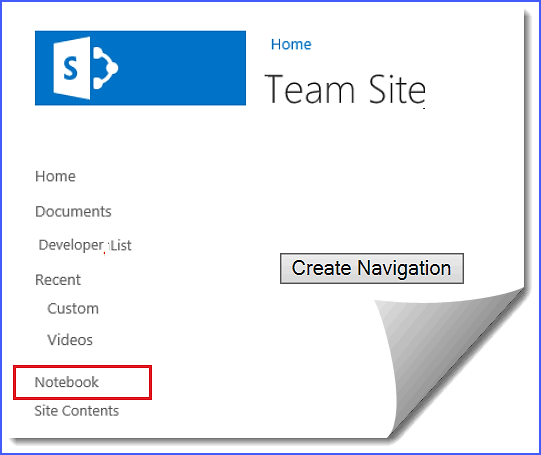 In this article I have explore represented as headings in the Quick Launch or left naviagtion area of the user interface in SharePoint 2013 site using REST API. Here we tried add custom navigation node corresponding to links in the Quick Launch area of the site using REST API using jQuery. I have Added one Custom navigation nodes “Notebook” in the Quick Launch(i..e Left Navigation) on button click. 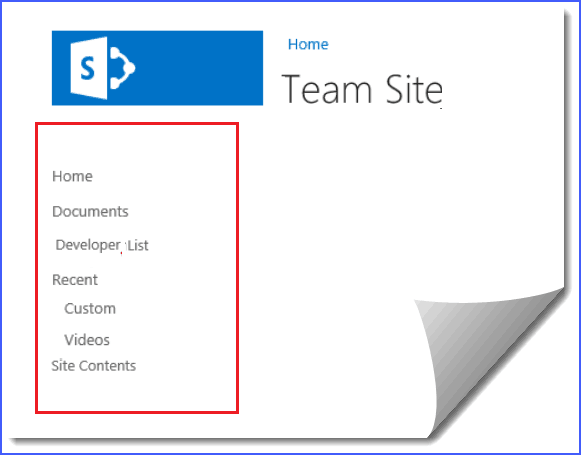 Navigate to your SharePoint 2013 siteand and from this page, select Site Actions | Edit Page. Then Edit the page, go to the “Insert” tab in the Ribbon and click “Web Part” option. In the Web Parts picker area, go to the “Media and Content” category, select the Script Editor Web Part, and press the “Add” button. On click ” Create Navigation” button. Hope this post will be very useful.